URL shorteners are the web services which makes the Alias of long URL. They provide you a very short URL which can be used to link in place of the original one. This makes it easier to share long links of Twitter, SMS etc, where you have limit of characters. But since you don't know the exact address hidden behind the shotened URL, you might be cheated and led to malware, phishing sites. Which may download virus, spywares and scripts. Some Shortener like Bit.ly and Goo.gl scan the link before shortening. But all don't have such feature. Recently my friend Abhi who blogs at techbusy.org launched KnowURL which lets users submit and know the original URL behind it. Google Wave has completed it's one year after the launch last year. In one year we have seen lots of improvements. Many new extensions have flooded the wave. Last week Google opened Wave for public making lots of buzz in web, it requires no invitation to sign up now. People who hadn't seen it before or waiting for the invites suddenly jumped to it and started waving. Like a science fiction movie, we are soon going to have mobile phones, gadgets wearable on your wrist. 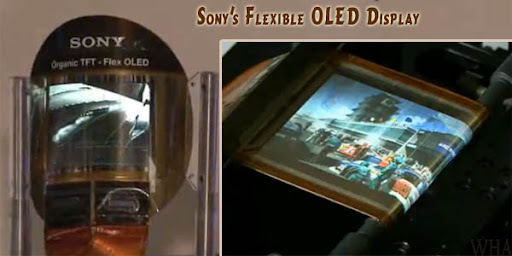 Sony has unveiled it's ultra flexible TFT OLED display panel. The prototype was first shown in CES trade show 2009 and has undergone more than 4 years of research and development. This panel is just 80μm thick. Since it doesn't contain any hard driver the TFT panel can be wrapped about your finger. How to create custom rules to filter messages to different folders on Outlook? Are you one who gets hundreds of emails every day? How do you manage them? How do you prioritize them to read, sounds odd? You might waste your working time reading the email that's not so important thinking of any urgent one. You get twitter, facebook Linkedin notifications, Wikipedia alerts, comment moderation (regular) etc every day. If you skip, you might need to search them later it huh... They hamper your productivity. A blogger knows this very well - how important is the time management! Do you ever wonder what would happen if the internet gets inside your television? TV won't remain limited to some hundreds of channels but millions(or may be billions) of channels around the globe and will allow you to seamlessly search and get the best source to entertain yourself. We all know that Microsoft's office tools dominate the market, despite the availability of free tools such as Google Docs, Open Office etc. Last week Microsoft released Office Mobile 2010 for Windows Mobile 6.5 phones for Free, Yes its available for free. Also, they will be releasing Windows Mobile 7. Recently Sony Launched Sony Dash a personal internet viewer, which supports over 1000 free sony apps and is ready to beat iPad in the tablet race. 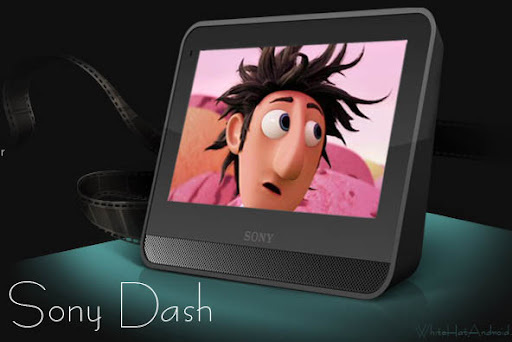 You can know more about Sony Dash in our recent post. Now you have a chance to Win Sony Dash in the exclusive contest of Sony Insider and is sponsored by Sony. They call it "Win a Sony Dash in dash". Sony launched a new tablet Sony Dash, which was announced in CES trade show this year. They call it personal internet viewer supporting 1000+ Sony apps available for free. It's made for web browsing, social networking, games, videos photos news and listening to your favorite radio. It's multitasking so you can stay connected to your friends when listening to music or may task together. This has a 7-inch capacitive touchscreen, connects to the existing wireless connection to provide you a selection from over 1,000 free apps, many are developed by chumby industries, including news, calendars, weather, sports, and social networking. Through BRAVIA Internet Video, Dash can bring you TV episodes, films and video content and music from providers such as CBS, Netflix, YouTube, Pandora, Slacker and many more. There is no doubt, How the internet is booming in India. Every organization is setting websites and a no of bloggers are increasing participation in the web. There needed someone to look and take care of the web standards, technology, and internationalization. Very few websites pass through the validation process of w3c. So to maintain the standards World Wide Web Consortium (w3c) announced they have an office in India last week in the conference organized by TDIL [Technology Development for Indian Languages]. The office is located in New Delhi. 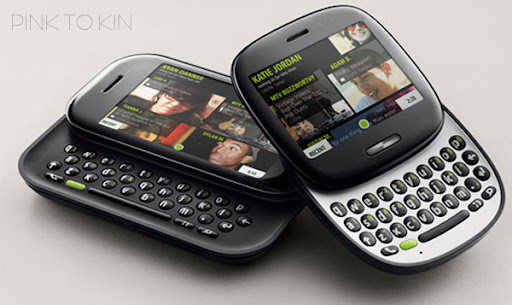 Last month, Microsoft unveiled its smartphone series KIN, aimed for social networking. Actually, it was Microsoft's project PINK, which turned KIN later. Earlier the square-shaped KIN One was codenamed Turtle and Horizontal Slider KIN Two was Pure. These phones have the new cloud-based Windows OS inspired by Sidekick. Microsoft acquired Sidekick in 2008. Which is very popular among teenagers. Phones are manufactured by Sharp. Internet revolutionary IDN [Internationalized Domain Names], which represent the regional characters and name for a domain has begun. IDN was approved by the ICANN [Internet Corporations for Assigned Names and Numbers] Board at its annual meeting in Seoul, South Korea on 30 October 2009. We covered this on our post ".bharat IDE domain names". The domains will be in non-Latin regional language characters. Sandisk popularly known for its USB Disks launched 16 GB variant of Cruzer Blade pen drives. The Cruzer Blade is very stylish and compact. In comparison to Sandisk Cruzer Mini, Blade looks better. The blade is not shipped with the rubber cover so it will remain clean. My uncle has Cruzer Mini with rubber cover, which looks so dirty I don't even want to touch :( The thickness is just same as a USB or USB port, which makes it easier to use along with other USB devices. Sometimes I go to a cyber cafe and the internet surfing zone of my college library. I often complain about the broken keyboard. So I used to carry my virtual keyboard in my pen drive, despite a keyboard provided by Windows OS. This also helps me to keep myself safe from password theft. Oh yes keyloggers (software & hardware) can read your every keystroke. Out of my fascination search giant, Google launched a multilingual virtual keyboard in more than 35 Indian native languages. Users can now input their search queries in their regional language. However last year Google launched Transliteration Input Method Editor [IME], by this small nifty tool users were able to type in their regional languages without any typing knowledge.